Today the 10th episode of the topic Meet the Store. 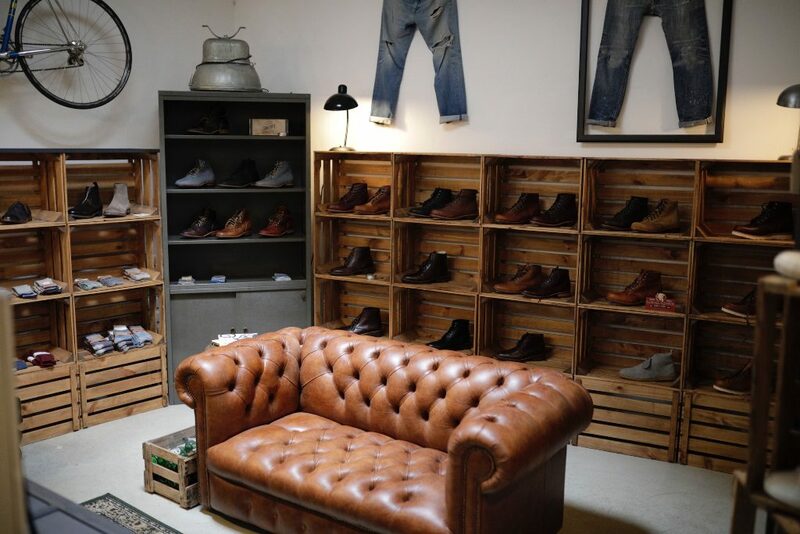 This topic Meet the Store shows you the best (denim) stores. 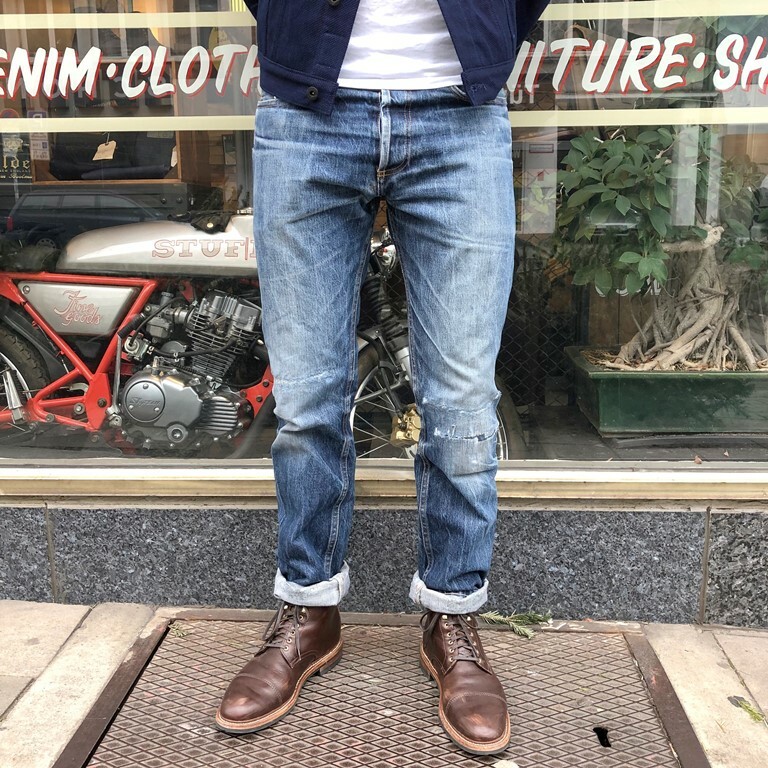 The stores you need to know to find the right pair of jeans, the most durable boots, an outstanding jacket or your new favorite denim item. 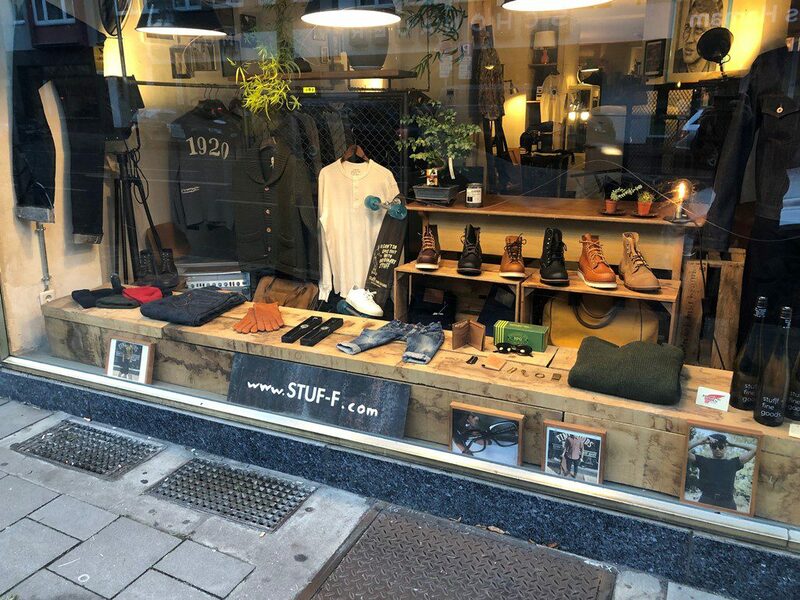 This new edition of Meet the Store is with Stuf|f which is located in Düsseldorf, Germany. 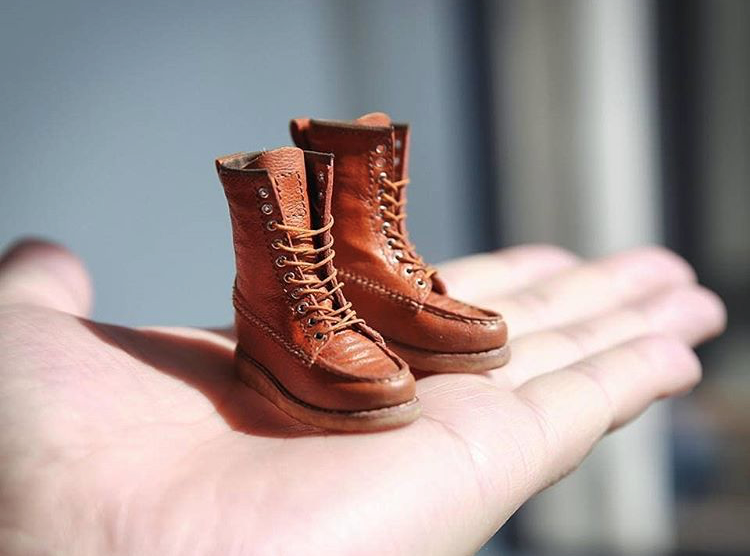 A great store filled the most beautiful brands!. Thanks for sharing your story Thomas! Living in village & country: Düsseldorf, Germany. Instagram ID of the store: @thomas.von.stuff. Number of Instagram followers of the store: 21.300 followers. 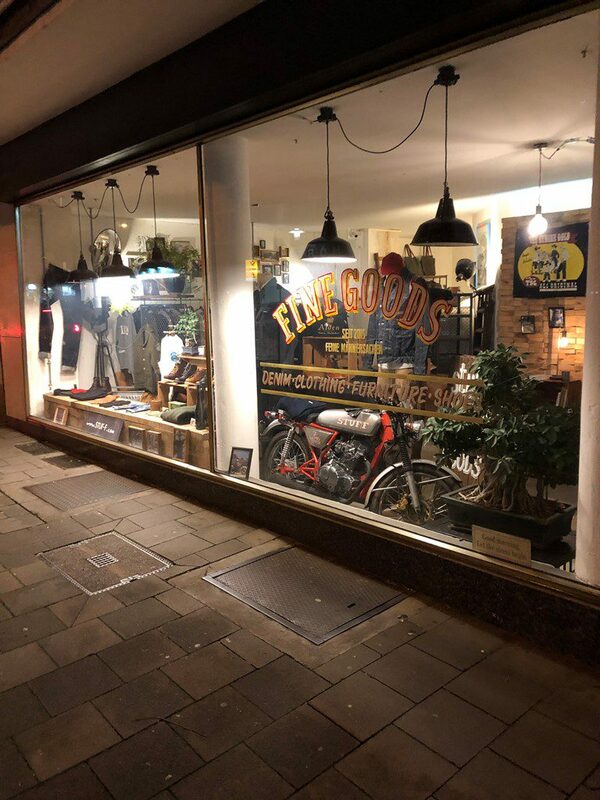 Daily work: Co-owner and “jack of all trades” of Stuf|f – fine goods store. 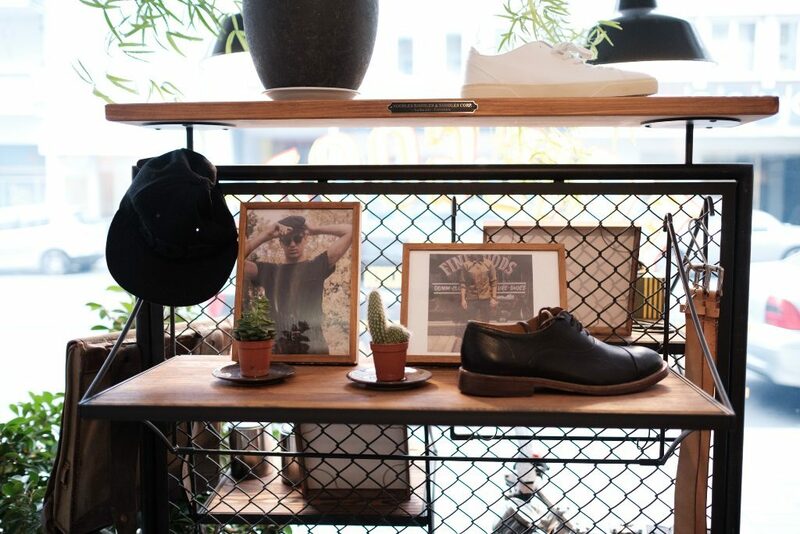 Jan (Stuf|f), Andreas (customer @vonabiszett) and Stephan from Stuf|f – fine goods store. That’s not so easy to answer, it’s more easy to say what we are not. We are not a heritage store. We love great traditional craftmenship, and classic design but we want to translate that in a sophisticated, contemporary style. 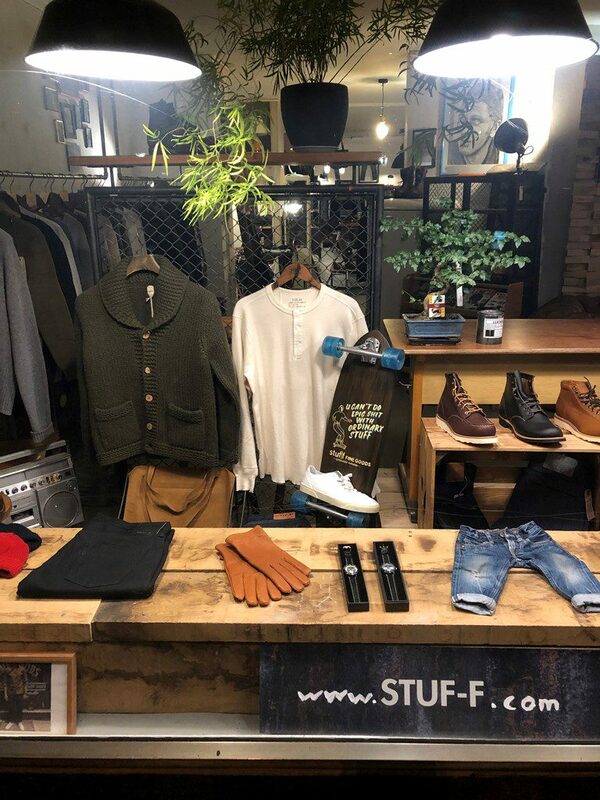 Stuf|f stands for ‘Stephan, Thomas und freunde | feine sachen’ (Stephan, Thomas and friends | fine goods) and is basically far more than a store. It’s more like an egoistic lifestyle concept. It is, or could be, about everything that Stephan, Jan and I love and where we have the feeling that it doesn’t exist or at least not in that way we wish. Only two criteria is leading: 1. Quality without compromise and 2. Friendship. A men’s and denim store has alyways been a part of our concept but we almost started with a hotel instead. Maybe that will be the next project, who knows. 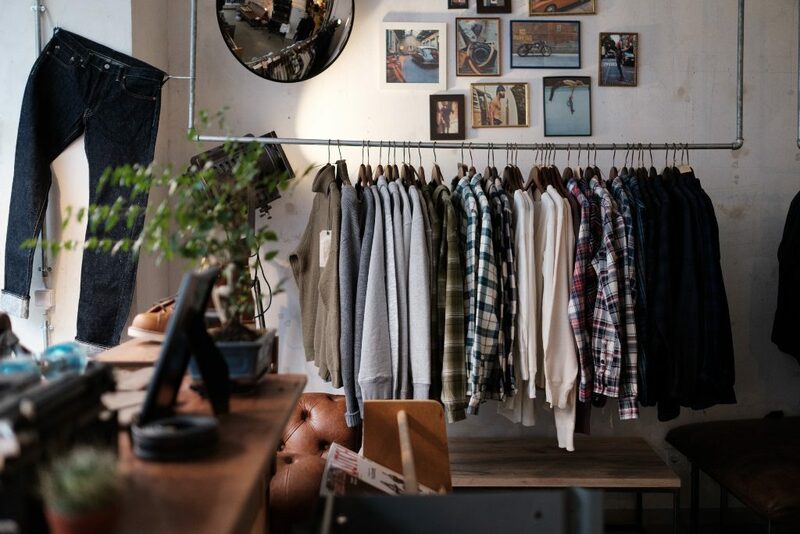 The Stuf|f – fine goods store. Stephan and I started our discussions about an own business concept about 8 years ago. We both have been working in the advertising business and often talked about our future plans and what we wanna do ‘when we are big’. You know there are not so many old people in advertising agencies. It was always clear for us that we only would start something where we can identify with and put passion in it, and not only because you supposedly can make lots of money with it. 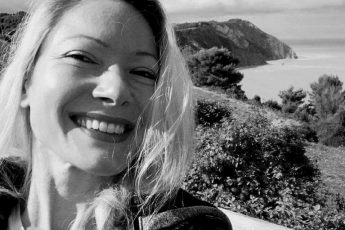 During my summer holidays in Greece 2014 encouraged by my wife I decided that thought experiments and ‘what ifs’ are not enough anymore and I developed the idea of ‘Stephan, Thomas und Freunde | feine Sachen’ (Stuf|f – fine goods) at a beach club in Chalkidiki. When I returned to Germany I created, typical advertiser, a powerpoint presentation about the concept, the philosophy and the cornerstones and presented it to Stephan. He loved it. 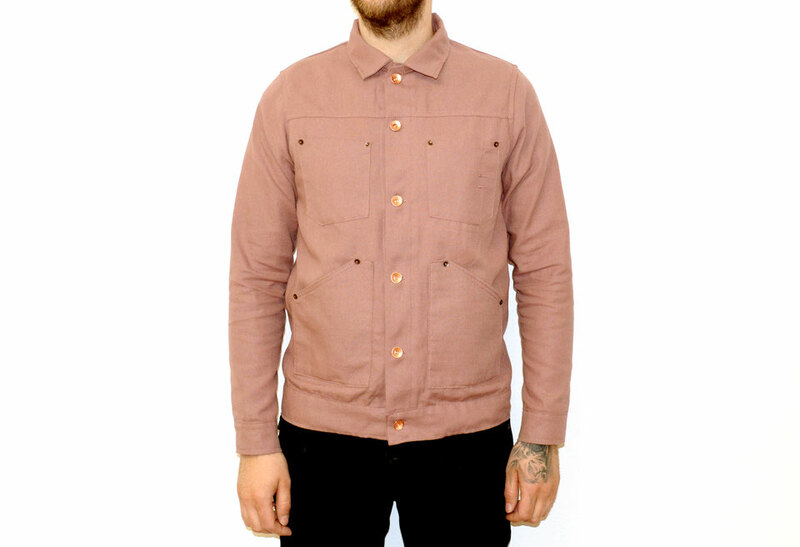 We have many staple items that are always in store or that will be restocked when sold out. 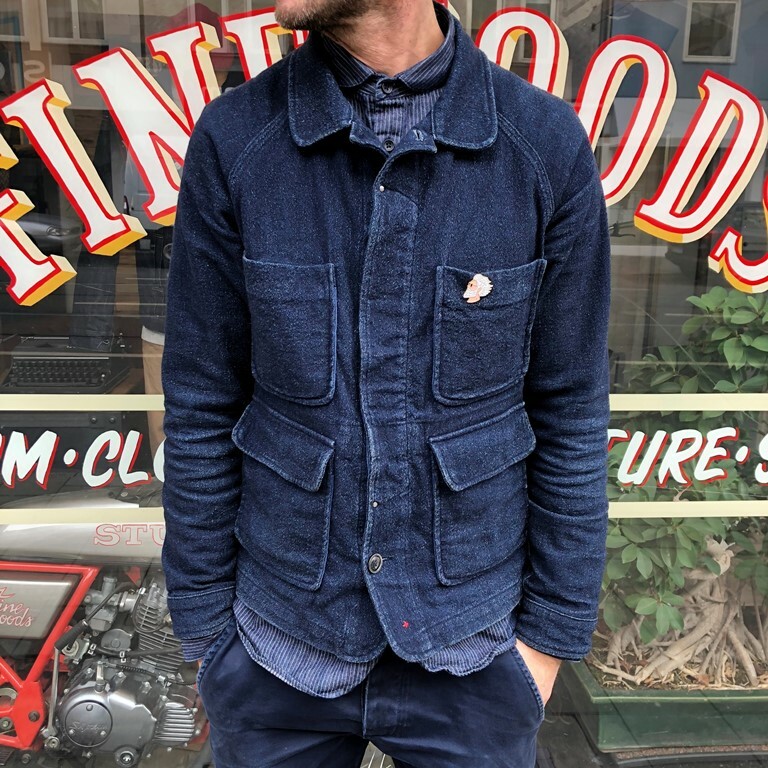 Most popular are those core items that get more and more beautiful the more often you wear them as: The Apolis Wool Chore Jacket, the Rogue Territory ISC Work Shirt, the Momotaro Indigo Dobby Shawl Collar Jacket. 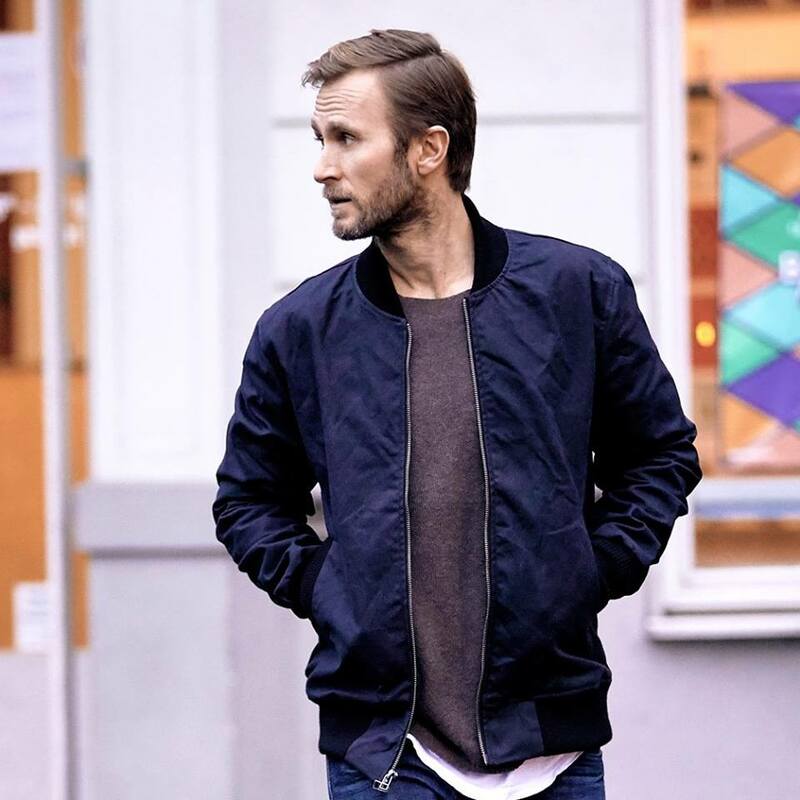 The Apolis Wool Chore Jacket. 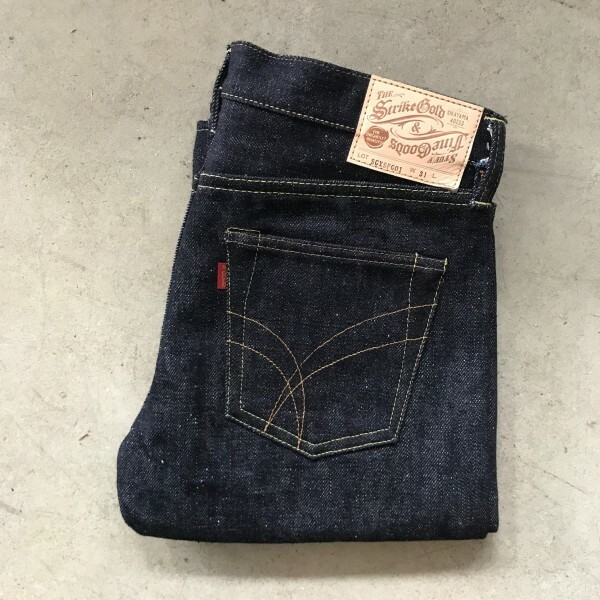 Some of our best-selling brands are Rogue Territory, Momotaro, The Flat Head. 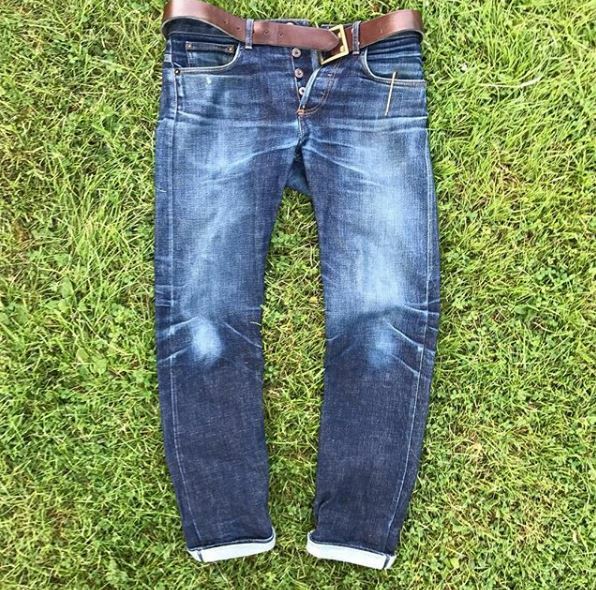 In terms of fits slim tapered jeans still rule the game. 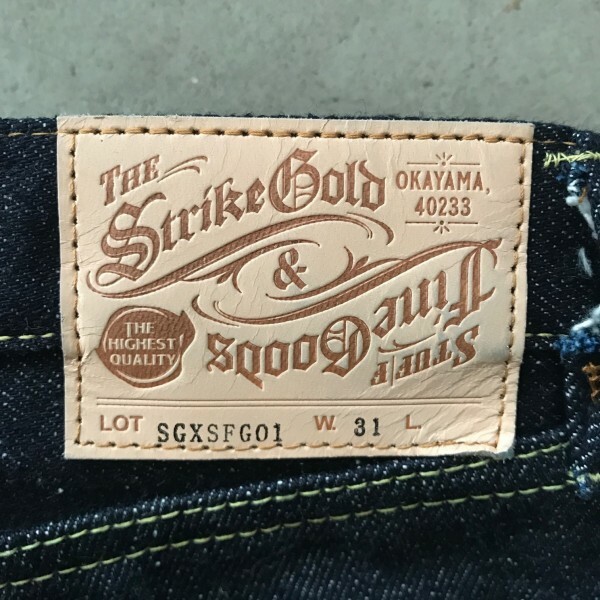 The Rogue Territory SK, the Momotaro 0306 and, we are very proud of that, our very own fit in collaboration with The Strike Gold, the SGXSFGO1 are our bestsellers. 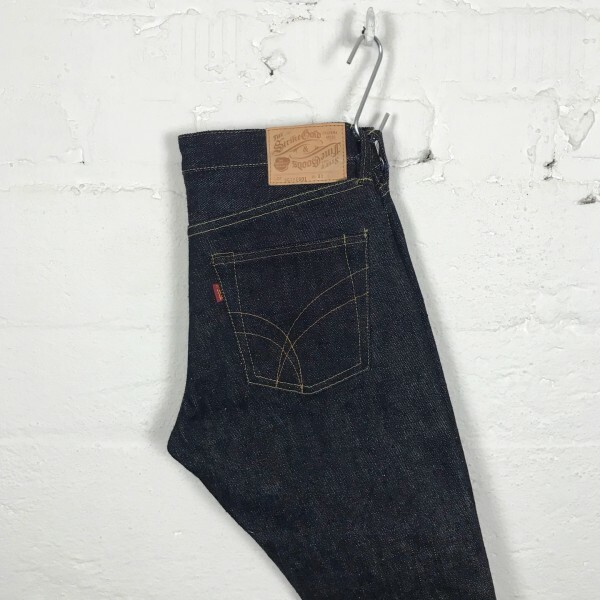 The Strike Gold SGXSFGO1 X Stuf|f – fine goods jeans made of 16.5oz selvedge. We are constantly open for new brands and products where we have the feeling that they fit to our philosophy and that they perfectly supplement our brand portfolio. But much more difficult than finding new brands is deciding which great brands or products we DON’T integrate. I like to compare it with a large buffet. Everything looks great but you have to find the good stuff that also fits together. Three new brands where we’ve had this feeling are Fullcount, Pure Blue Japan and E.L.M.C. I think the most iconic item is definitely the Nine Lives Indigo Sashiko Duster Coat. 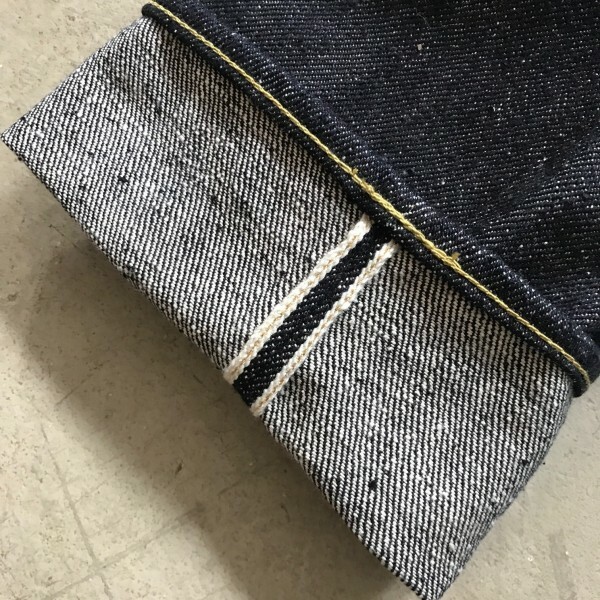 It’s made from a heavy weight 100% cotton proprietary Sashiko weave fabric that was engineered by three Japanese fabric scientists. The fit is insane. I haven’t seen anyone who hasn’t look great with this coat. Puh, that’s a tough question. Currently I force me to focus on wearing few pairs of jeans only. 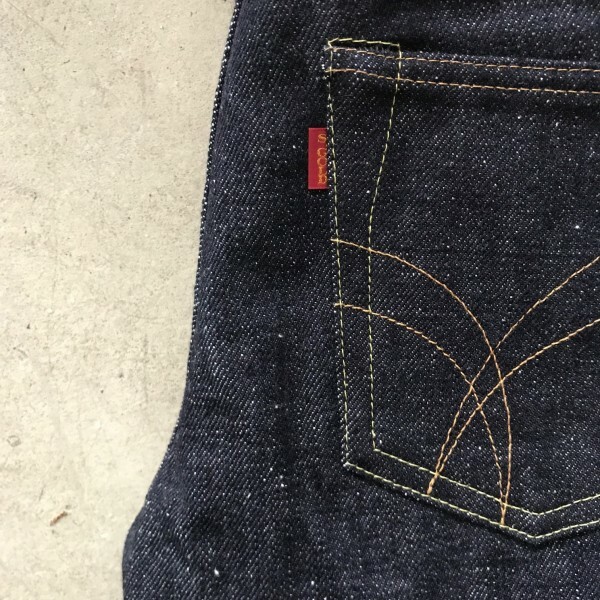 In heavy rotation are still: The Strike Gold, our Tenryo collab, Ruttloff Garments, Tanuki, UES, Fullcount, Stevenson Overall, Momotaro, Companion, Shockoe Atelier and Rogue Territory… you see I’m an addict. Inspiration is everywhere. I love to browse Japanese magazines, Instagram and Pinterest, but sometimes inspiration hit you when you don’t expect it, on Netflix, in music videos, in a coffee shop, when travelling or simply on the street. As said before I wish I could have only one favourite pair of jeans, but I have too many I really love. 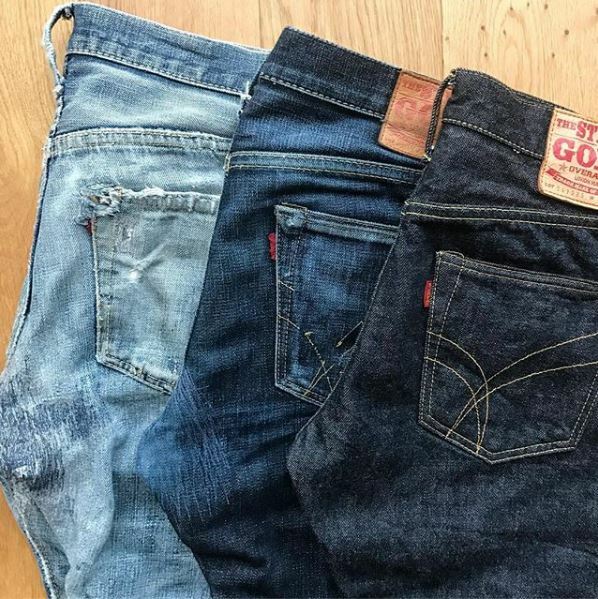 If I had to decide it would probably be our collaboration jeans SGXSFGO1 with The Strike Gold. 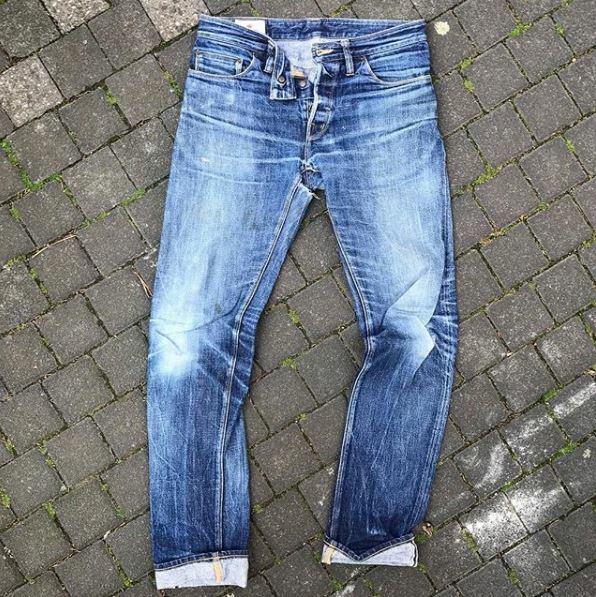 It’s made from a beautiful limited 16.5oz heavy slub denim and the fit is on point. 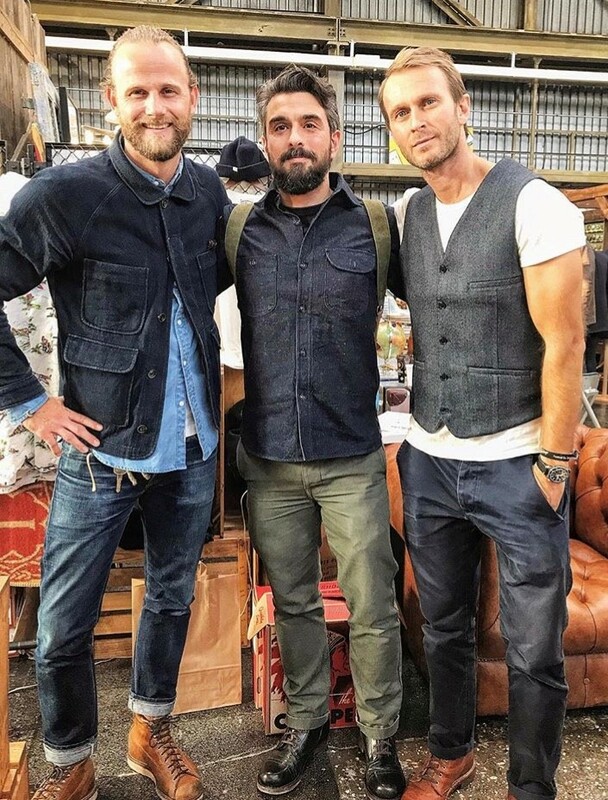 Denim city? I don’t know, maybe London? 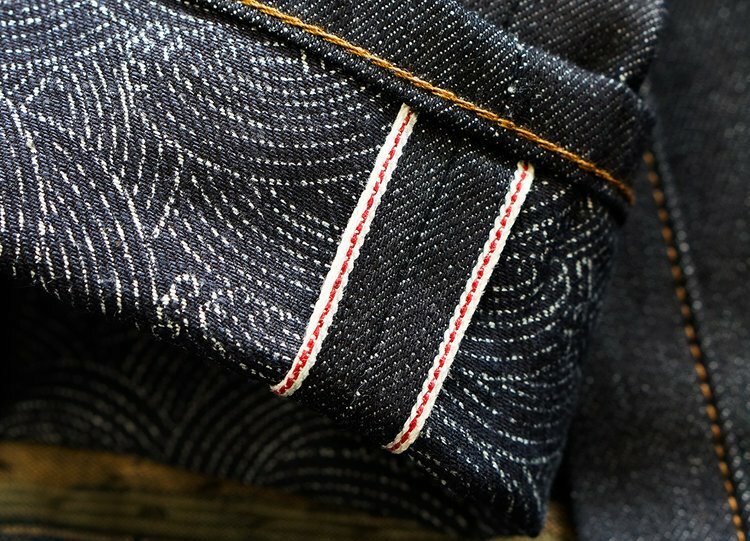 Brave Star Selvage Slim Straight. 2019 is again full of great collaborations. 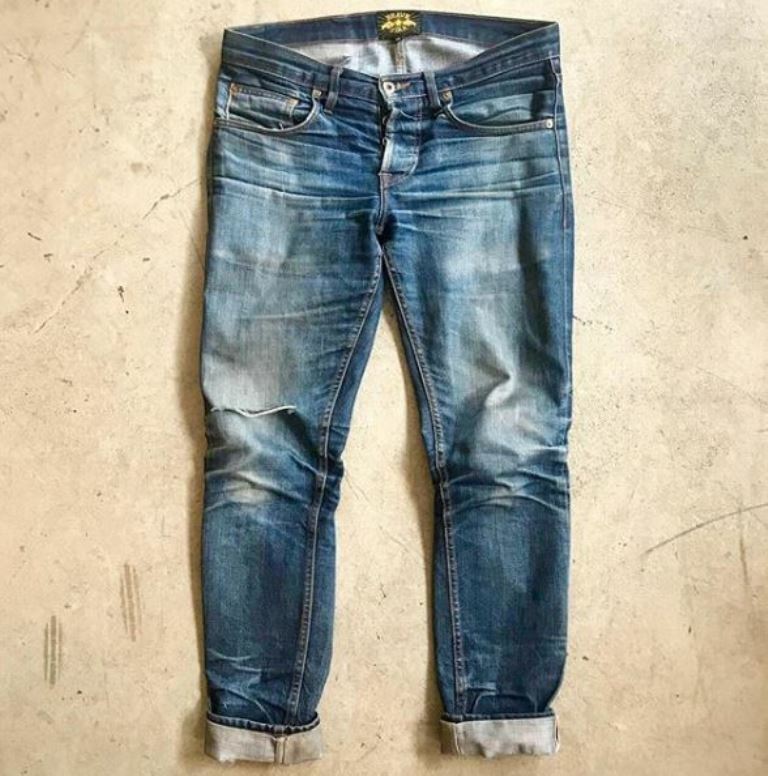 The first one will be the release of a great 12oz lightweight version of our SGXSFGO1 cut with The Strike Gold, then we’ll have the second collaboration with Vanson Leathers on the interpretation of my 1960’s Cafer Racer jacket and we’ll finally launch our Stuf|f chino project together with Blaumann Jeanshosen. And there are many further collabs in progress at the moment. 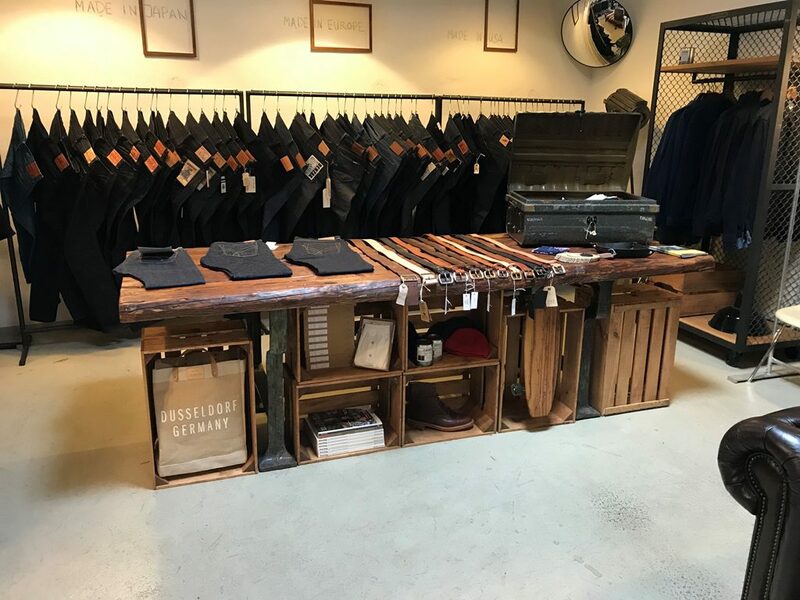 Oeben’s Mercantile in Utrecht (NL): here. 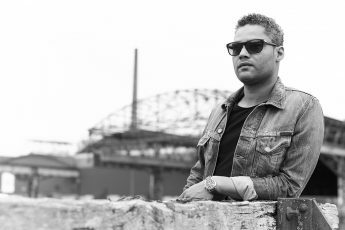 Concrete Matter in Amsterdam (NL): here. 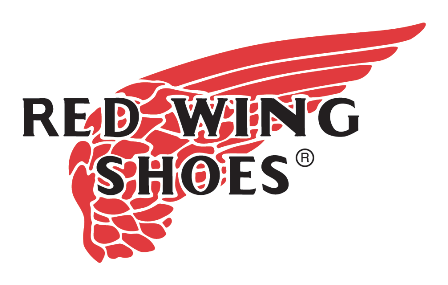 Red Wing Shoes in Amsterdam (NL): here. Black & Blue in Nijmegen (NL): here. Denoism in Rotterdam (NL): here. Arborator in Maastricht (NL): here. 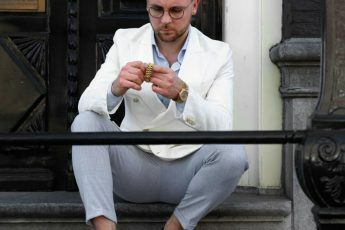 Tenue de Nîmes in Amsterdam (NL): here. Kings & Queens in Antwerp (BE): here.